/cm/ - Cute/Male » Searching for posts with the image hash ‘eKNVNZ3K0tmfMder4PtsSg==’. Searching for posts with the image hash ‘eKNVNZ3K0tmfMder4PtsSg==’. 1 results found. 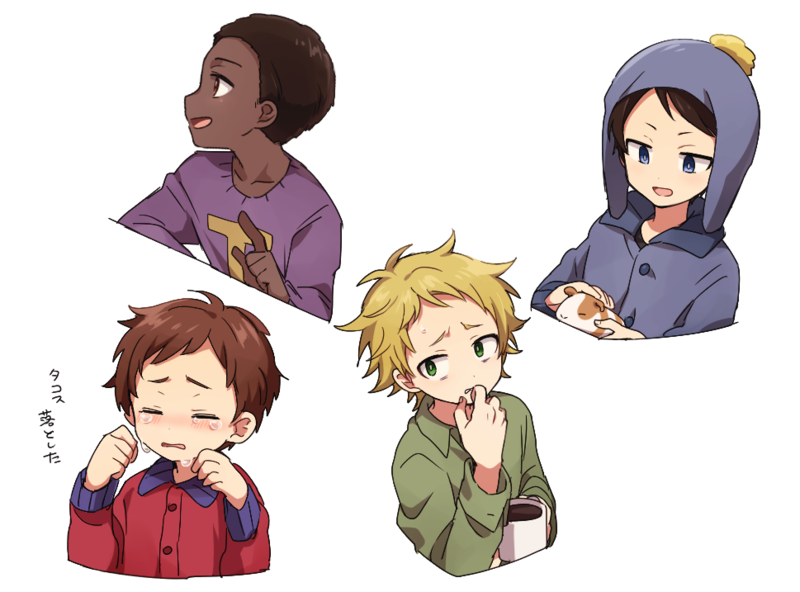 Mine are Kyle, Kenny Butters, Tweek and Craig. Tweek probably the number one and I like all "versions" him despite the normal one is the best. I think he becomes more love-struck and assertive as Wonder Tweek.